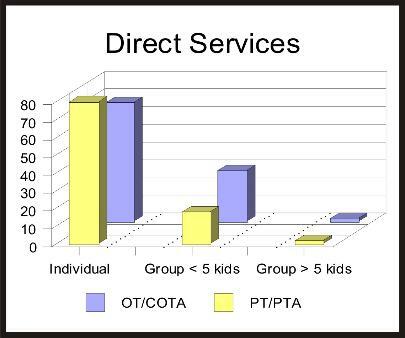 QUESTION #2: How do you provide the majority of your direct therapy services? Please choose only one. 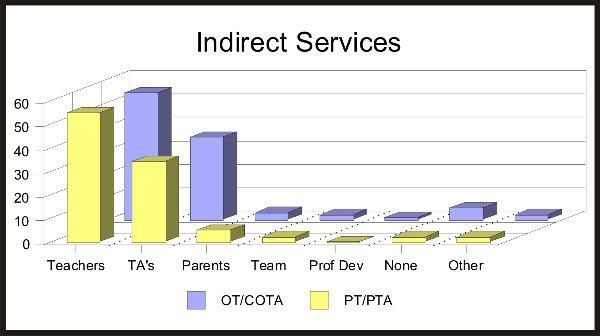 QUESTION #3: How do your provide the majority of your indirect therapy services? Please choose only one. 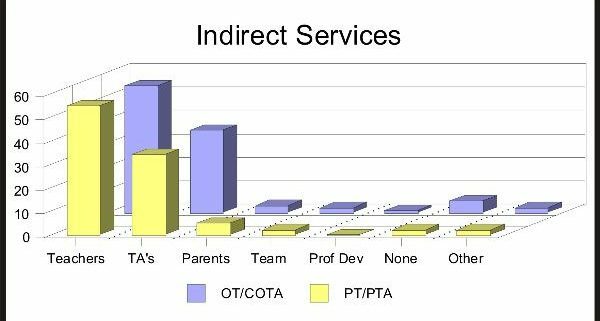 Consultation with teachers, consultation with teacher’s assistants, consultation with parents, team teaching, professional development, do not provide indirect therapy OR other.